Author Ron Rosenbaum will take part in our Hyman S. & Freda Bernstein Jewish Literary Festival panel “Israel, Loose Nukes and the End of the World” on November 1. Well, since the air is buzzing that McCain will be announcing his running-mate any day now (possibly even tomorrow), I thought it was now-or-never to cash in on our connection to this year’s VeepStakes. Loyal readers may recall that our Pre-K Yanshufim class did a Reggio project on elections during the Primary season that was supposed to last six weeks, and well…went on for a lot longer than that. Rep. Eric Cantor for Veep? As part of their project they went to visit Congressman Eric Cantor, the Republican chief Deputy Whip of the House of Representatives. I have to admit I wasn’t familiar with the Congressman when we first posted about the visit. You figure anyone who makes time in their day for a bunch of pre-school students (from the no-vote-in-Congress-District-of-Columbia) can’t be too important. I guess I sold him short. Way short. Because this past weekend I read this in the Washington Post. Conservatives wary of John McCain and worried about who he’ll choose for a running mate are offering up ideas left and — more to the point — right. One of the ideas gaining momentum in conservative circles is Rep. Eric Cantor (R-Va.). Cantor, the 45-year-old Republican chief deputy whip of the House, has three great attributes: youth, conservative bona fides and geographic desirability, as Virginia will likely be a crucial swing state in this year’s presidential election. 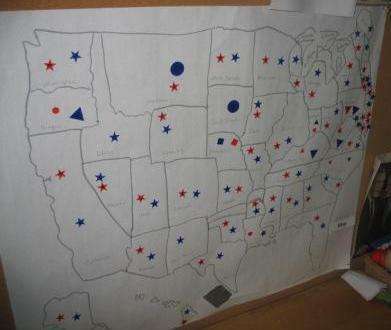 Oh, and in a year where Jews are seen as a potential swing vote, Cantor is the only Jewish Republican in the House. Now, that didn’t work out so great for Gore/Lieberman in 2000, but don’t let that stop you John. So just in-case Cantor is chosen (and he doesn’t even appear on some shortlists on the same Washington Post website) we want to say, “We knew it all along.” If you want to make sense of politics in Washington, just let the four-year-olds lead you. One girl in the class summed up her feelings as being, “Happy and Sad. Sad because Hillary didn’t win, but happy because Obama got the nomination.” This may have been the most apt observation, as the Democrats’ chances in November ride on whether enough grown-ups will also feel the same. 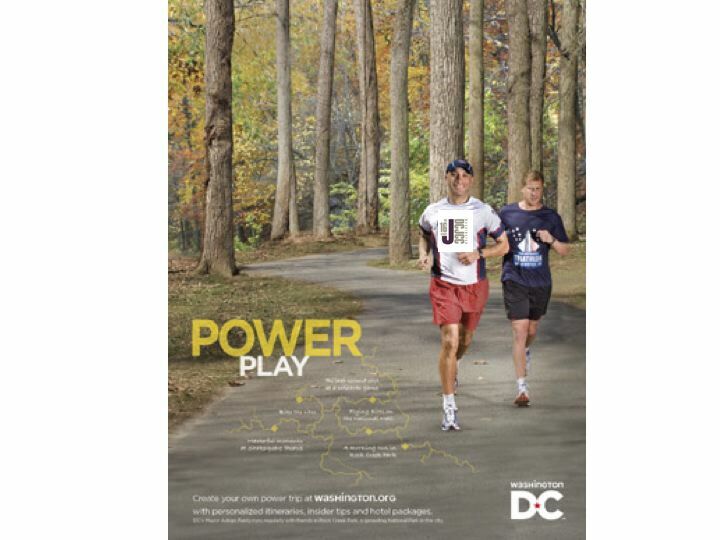 It seems some people are upset that Mayor Adrian Fenty chose to outfit himself in a Fleet Feet t-shirt while jogging through Rock Creek Park–a photo of which is now being used as part of a Destination DC ad campaign to lure tourism dollars to the District. The problem is that the Adams Morgan store is owned by his parents and those “some people” have suggested that an ad campaign financed by public dollars ought not provide free advertising for the family business. We don’t take a position either way, except to offer the mayor, who normally needs no sartorial advice, the use of a Washington DCJCC t-shirt then next time he goes for a run.